Neutropenia, the major adverse event in chemotherapy, is associated with favourable clinical outcome in several solid tumours. We aimed to investigate the predictive value of neo-adjuvant chemotherapy (NAC)–induced neutropenia for the pathological response and prognosis in colorectal liver metastases (CRLM) patients. A retrospective review was performed in 141 CRLM patients receiving NAC followed by liver resection. A logistic regression was applied to analyse potential predictors. A Cox proportional hazards analysis was used to analyse survival. Neutropenia due to NAC was observed in 42.6% (60/141) of all patients, and grade 3/4 neutropenia was noted in 31.7% (19/60). A pathological response (tumour regression grade (TRG) 1–3) was reported in 46.1% (65/141) of patients. Multivariate analysis showed that neutropenia significantly predicted the favourable pathological response (OR = 3.718, 95% CI 1.716–8.329, P = 0.001), as well as targeted therapy, good differentiation and preoperative CEA < 10 ng/ml as independent predictors of favourable histological response. Of the patients, 54.6% (77/141) had postoperative complications, including 28 major complications (28/77, 36.4%). Severe neutropenia significantly predicted postoperative major complications in multivariate analysis (OR = 4.077, 95% CI 1.184–14.038, P = 0.026). Compared to patients without neutropenia, patients with neutropenia had significantly better progression-free survival (PFS) (P = 0.007; mPFS, 10.2 months vs. 6.7 months). Patients with histological response had significantly better PFS than patients with no histological response (P = 0.001; mPFS, 10.0 months vs. 5.5 months). According to multivariate analyses, neutropenia was a significant predictor for better PFS (HR = 0.613, 95% CI 0.406–0.925, P = 0.020) but not OS. 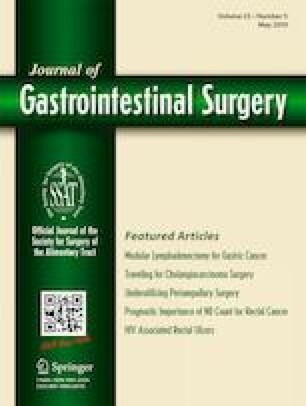 For CRLM patients receiving NAC followed by liver resection, NAC-induced neutropenia was a significant predictor of favourable pathological response, postoperative major complications and better prognosis, which makes it useful for CRLM patients in guiding treatment approaches and prognosis assessments. Qichen Chen and Chaorui Wu contributed equally to this work. We are grateful to Dr. Xingjin Wu for critically reading the manuscript and for her valuable comments. All authors have made substantial contributions to the conception or design of the work; or the acquisition, analysis or interpretation of data for the work; drafting the work or revising, and final approval of the version to be published. All authors have no conflicts of interests to disclose. This study was approved by the Institutional Review Board of the Cancer Institute and Hospital, Chinese Academy of Medical Sciences. All patients provided written informed consent. Institute NC. Common terminology criteria for adverse events (CTCAE), version 4.0. 2010. http://evs.nci.nih.gov/%0Aftp1/CTCAE/CTCAE_ 4.03_2010-06-14_QuickReference_5x7.pdf.